I have collected information from old books! no bones that can confirm the giants of the southern part of South America, but the books and other documents after the first discoverers comfirm that there indeed were tall people living there! The first European to sail down the South American east coast was Hernando de Magallanes - Magellan, in 1520. Spain had already started to explore the new land they had found to the west of the Atlantic Ocean. Magellan, a Portuguese, was trying to find a new route to the Spice Islands/Moluccas, in northern Indonesia. When he reached the southern part of what now is Argentina, on a inlet he named San Julián, he encountered very tall people, Yes, the first one they saw was so tall that so tall that the seamen only reached to his waist! They later managed to capture two young giants, but they died later at sea. Magellan was the first European to encounter the Patagonian giants but he was far from the only one! Other Spanish explorers followed, then the English and the Dutch. And they all saw giants, up to 11 feet (more than 3 meters) tall! For more than 250 years sailors visiting the land, that now was called Patagonia, could tell about seeing human giants - yes, early charts sometimes added the legend "regio gigantum", "region of the giants", to the area! The European public's interest really peaked after the visit to Pantagonia by vice-admiral John Byron in the ship HMS Dolphin. The book that was published (1767) when they were back home seemed to give proof of the giants existence. 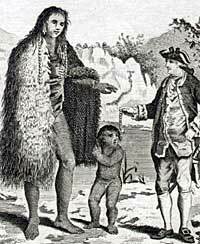 But the interest died down, especially after John Hawkesworth's book of 1773, supposedly based on the English explorers' journals, telling that they had been exaggerating the Patagonians hight: They were perhaps 6 feet, 6 inches (1.98 m), tall but not giants! Well, there are no giants in southern Argentina today, so might be there never were any? John Hawkesworth book or not: It is hard to believe that so many of the first explorers told about the giants they encountered if it was just more or less fantasies. Why should they make up stories like that? The well respected captains representing their countries were out to explore, to find new routes to gold and spices - not make a kind of horror movie! Take the mentioned John Byron; He was later made Commander-in-chief of the British fleet in the West Indies and during the American War of Independence - would that have happened if Hawkesworth's book really had proven that he had been lying? that they had come over the sea in large boats of reeds. All over the world the stories were the same: The first explorer did find very tall, white skinned people among the natives and they found bones after even taller people - giants. Like in North America where the Europeans encountered extremely tall Indian chiefs and the settlers making roads, houses and farm fields dug up mound after mound with large, bones that most often crumbled to dust. So what happened to the giants? Well, the first Europeans to the other continents were not as Christian as they pretended to be, at least not when it came to the local "heathens". - Shoot them down, get them killed!, was often the parole. The tall people would of course be the first in line, because it seems that they were the leaders! The newcomers were first of all after gold, spices and land - but if the locals did not want to hear about Jesus then the tough methods could convince the survivors of what was the better religion! And - in addition to guns and Bibles the Europeans also brought their diseases - thousands and thousands (might be millions) of natives all over the world died of common diseases like measles and influenza because they were lacking genetic resistance. would most probably die even before it was time to deliver! 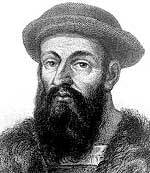 1520: Magellan, Spanish (Portuguese) explorer. Where: Saint Julian (49°20 S, 67°43 W). Quotes: But one day, unexpectedly, we saw a man of gigantic stature who was on the beach, quite naked; who while singing and dancing threw sand on his head, gigantic stature, And he was so tall that the tallest of us only came up to his waist. Withal he was well proportioned, "another giant was seen, taller and better proportioned than the others". Source: Magellans chronicler Antonio Pigafetta. "Report on the First Voyage around the World", 1525. 1525: García Jofre de Loayza, Spanish explorer. Quotes: "men are thirteen spans tall" (2,74 m, 9 ft.). Source: Juan de Aréizaga, a priest that was part of the expedition. "Narrative". 1577: Sir Francis Drake, English admiral and privateer. Quotes: men in height and greatnes are so extraordinary that they hold no comparison with any of the sones of men this day in the world, 7 foote and halfe (2,29 m) describing the full height...of the highest of them. Source: Francis Fletcher, Drake's Chaplain. Sir Francis cousin John Drake, who sailed with him, recalled a skirmish with the giants that resulted in the death of one native and two sailors. 1579: Pedro Sarmiento de Gamboa, Spanish explorer, historian and scientist. Quotes: were Big People", "Giants. He also reported their great strength; it took ten of his men to capture a native. 1587: Sir Thomas Cavendish, English captain. Quotes: of a gigantic race, as the measure of one of their foot marks was eighteen inches [45,7 cm] long. Quotes: "Giants fifteeene or sixteene spans of height. I affirme, that at Port Desire I saw the footing of them, by the shoare side, that was aboute foure foote of one of our mens in length; and I saw two of them that were buried newly, the one of them was fourteene spannes long" (2,94 to 3,36 m, 9.6 to 11 ft.), thirteen spans tall (2,74 m, 9 ft.) - about a Patagonian youth. Source: Anthonie Knivet, an adventurer who sailed with Cavendish, his book. 1599: Sebald de Veert, Dutch captain. Quotes: savages whom he thought to be ten or eleven feet high [3,05  3,35 m], tore up trees by the roots, that were a span in diameter, with great facility. 1599 Oliver van Noort, Dutch admiral. Where: Port Desire (47°45 S, 65°55 W). Quotes: savages of a gigantic stature, gigantic people...who were continually making war upon the other nations. He was told that not all Patagonian natives were gigantic, but only one tribe out of the five that lived there, the Tiremenen. Quotes: a human being of very big stature. 1615: Jacques Le Maire, Dutch explorer and Willem Corneliszoon Schouten, Dutch navigator. Source: A map of Puerto Deseado. 1618: Bartolomé and Gonzalo García del Nodal, Spanish officers/brothers. They fought at with the local natives, the Caucauhue, of a very belligerent nature. Where: Strait of Le Maire, Tierra del Fuego. Quotes: footsteps of men that measured eighteen inches. (45,7 cm). Quotes: saw seven of these giants in Gregory Bay on the Strait of Magellan". Captain Eon de Carman, also from France, reported seeing giants too. Quotes: of a gigantic stature", "monsters in a human shape. "them examined and measured by Mr. Byron. He represents them in general as stout and well-proportioned, and assures us that none of the men were lower than eight feet (2,44 m), and that some even exceeded nine (2,74 m), and that the women were from seven feet and a half to eight feet (2,29 to 2,44 m)". He said that Captain Byron who was a tall man nearly six feet tall (1.83 m), had to stand on tip-toe and stretch his arm in order to reach the top of a natives head. Byron wrote that one of his officers was astonished upon perceiving himself, though six feet two inches high [1,88 m], become at once a pigmy among giants; for these people may indeed more properly be called giants than tall men. "such was their extraordinary size, that in this situation they were almost as high as the Commodore when standing." Source: "Officer on Board the said Ship, Voyage Round the World in His Majesty's Ship the Dolphin". 1756: Charles de Brosses, French baron and writer. Quotes: "The coast of Port Desire is inhabited by giants fifteen to sixteen palms high. I have myself measured the footprint of one of them on the riverbank, which was four times longer than one of ours. I have also measured the corpses of two men recently buried by the river, which were fourteen spans long. Three of our men, who were later taken by the Spanish on the coast of Brazil, assured me that one day on the other side of the coast they had to sail out to sea because the giants started throwing great blocks of stone of astonishing size from the beach right at their boat. In Brazil I saw one of these giants which Alonso Díaz had captured at Port Saint Julien: he was just a boy but was already thirteen spans tall. These people go about naked and have long hair; the one I saw in Brazil was healthy-looking and well proportioned for his height. I can say nothing about his habits, not having spent any time with him, but the Portuguese tell me that he is no better than the other cannibals along the coast of La Plata." Source: His book "Historie des navigations aux terres australes". Quotes: one of these was six feet seven inches high (2.01 m), several more were six feet five, and six feet six inches high (1,96 to 1,98 m); but the stature of the greater part of them was from five feet ten to six feet (1,78 to 1,83 m). Source: Hawkesworth "Walliss An Account of the Voyage Round the World" 1773. 1831: Charles Darwin, English naturalist. Quotes: "on an average, their height is about six feet, with some men taller and only a few shorter; and the women are also tall; altogether they are certainly the tallest race which we anywhere saw." Source: Darwin, The Voyage of the Beagle.